This is a point-counterpoint rant, first about how amazingly sweet my wife Abby is, then about the inanity of corporate America. 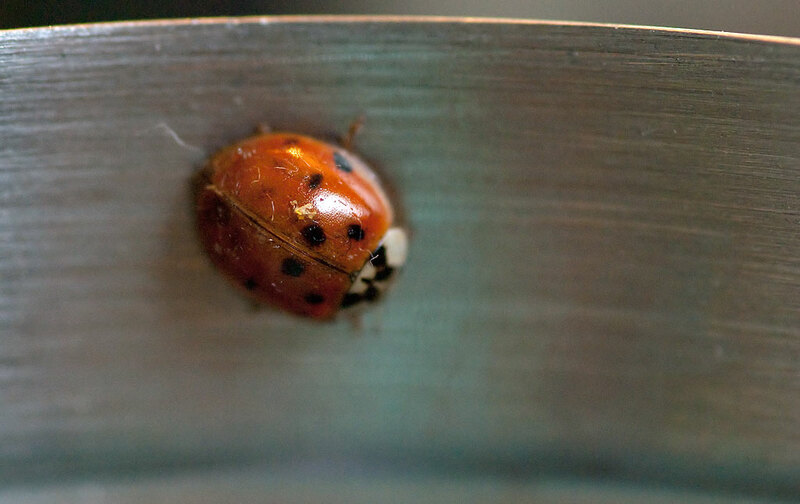 This is the ladybug Abby was carefully guiding, finally lighting on a metal container she uses to hold crochet clips. I looked up to see her gently ushering a ladybug along her arm. For the next few minutes I watched as she sweetly, carefully guided this tiny insect to a safe spot next to Abby’s recliner. I love ladybugs, mostly because they are beneficial and beautiful. But Abby loves ladybugs the way she loves pets. It was a very heartwarming moment. Minutes later, I was in the garage, working on our ongoing cleanout/reorganization project. I dug into the cabinets above the workbench and pulled stuff out, then vacuumed the shelves before putting it all back in better order. One thing I found was our Wii gaming console, which I decided to put in some kind of container and keep inside. I started cleaning it up and opened one of the controllers to find a huge amount of corrosion from the Duracell battery inside. This is but one of a series of Duracell battery corrosion events in our lives. 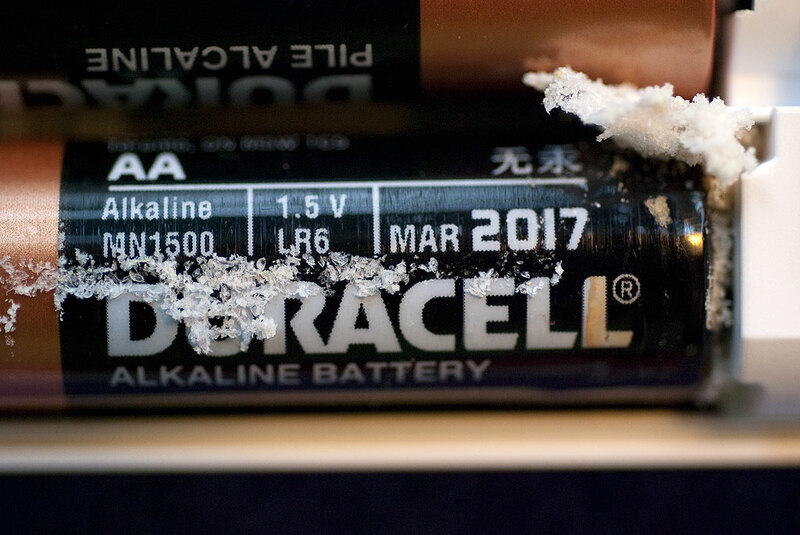 Readers might recall that last summer Abby and I decided to stop using Duracell batteries because many items in our home had been contaminated by corrosion from them: wall clocks, flashlights, remote controls, and so on. I finally decided to contact the company that make these batteries. Thanks for contacting Duracell, Richard. I’m sorry to hear about your leaking experience. This is certainly not what we anticipated as our batteries are thoroughly evaluated to ensure they won’t cause damage once used as directed. As a consumer myself, I certainly understand your frustration. I also want to assure you that I’m sharing your feedback with our quality assurance team. After reading your message, I think it would be best if we talked with you to get more details. Please call the toll-free number printed on our product package, 1-800-551-2355, between 8am and 5pm EST, Monday through Friday. It’s also very helpful to have your product and its package handy when you call. Please mention reference number 24129371 when you call. Also, we’d like to share that there are many things that can cause batteries to leak/vent. Some of the more common causes include exposure to extreme temperatures, moisture, where and how batteries are stored, and/or becoming shorted out by other batteries or metals. Research also shows that mixing old and new batteries or different types of cells are also common causes of battery leakage. We look forward to hearing from you again soon. Again, thanks for contacting us. Yes, I understand that as a consumer it’s my fault when your batteries leak into a wall clock after six months at constant room temperature. The punch line, of course, is that I called the 800 number in the email and got a long, difficult-to-navigate numerical menu system on which I gave up in less than a minute. This is a classic example of a dysfunctional corporate culture. So long, Coppertop; from now on our batteries are Energizers. Serves them right after those creepy “battery people” commercials. I stopped using Duracell before the boys were out of elementary school. I definitely remember that they leaked sometimes, but even when they didn’t leak, they didn’t last long at all. Kids toys require an ongoing expense of battery purchases, and I couldn’t afford to buy batteries every few days. I decided to try Energizer, and they lasted much longer. Seems like they cost more initially, but much less in the long run. One time, when Justin was around two years old, he took the batteries out of his tape recorder, and reinstalled them himself, unbeknownst to me. He then handed the recorder to my mother, who just held it on her lap. After a few minutes her lap started to get hot, and hotter, until we realized the heat was coming from the tape recorder. The batteries had been installed incorrectly, which caused a scary chemical reaction. The police investigation determined that Justin wasn’t trying to blow up his grandmother, so we stopped the therapy sessions. I used Energizers until a couple of years ago when I tried a brand that had good reviews on Amazon. I buy a pack of one hundred AAA a year for about twenty dollars. 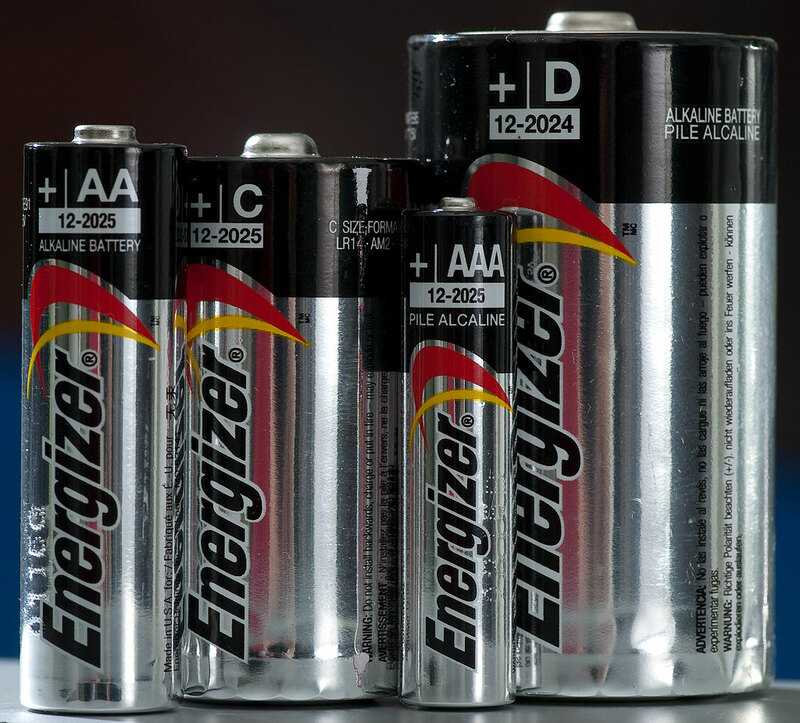 I use AAA more than any other battery, and the new brand lasts at least as long as Energizer. How can any company think it’s good business to tell a customer that the reason their product is faulty is because the customer is stupid? !